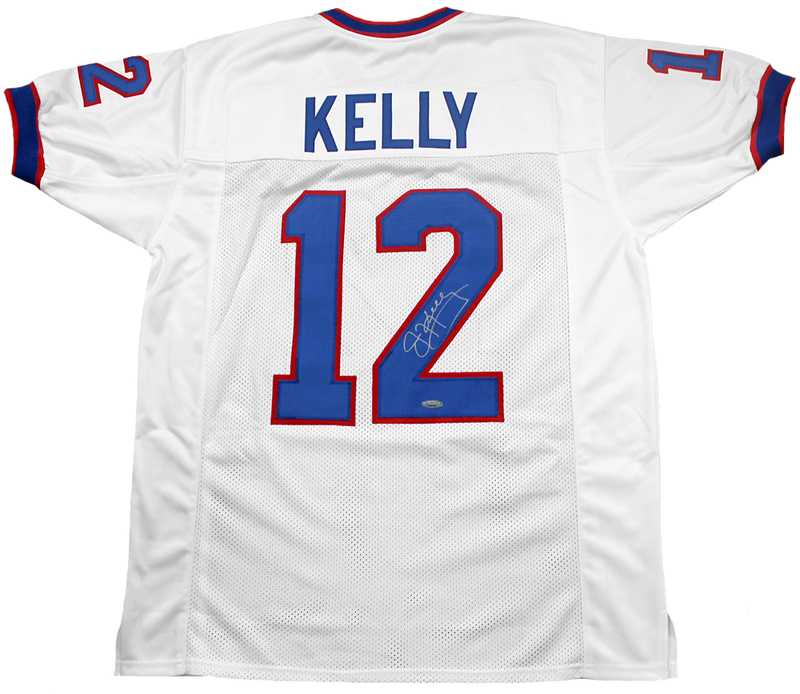 These custom white pro-style jerseys have been hand signed by Jim Kelly. Each autographed jersey includes an individually numbered TRISTAR Authentic hologram. 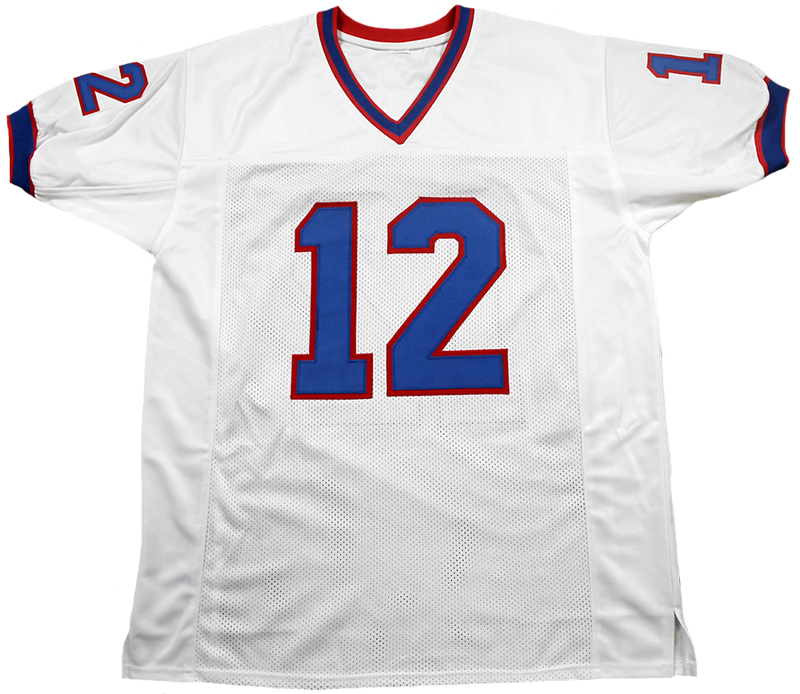 Jim Kelly is a former NFL quarterback who led the Bills to four consecutive Super Bowls from 1991 to 1994. Buffalo made the playoffs in 8 of Kelly's 11 seasons as their starting quarterback. 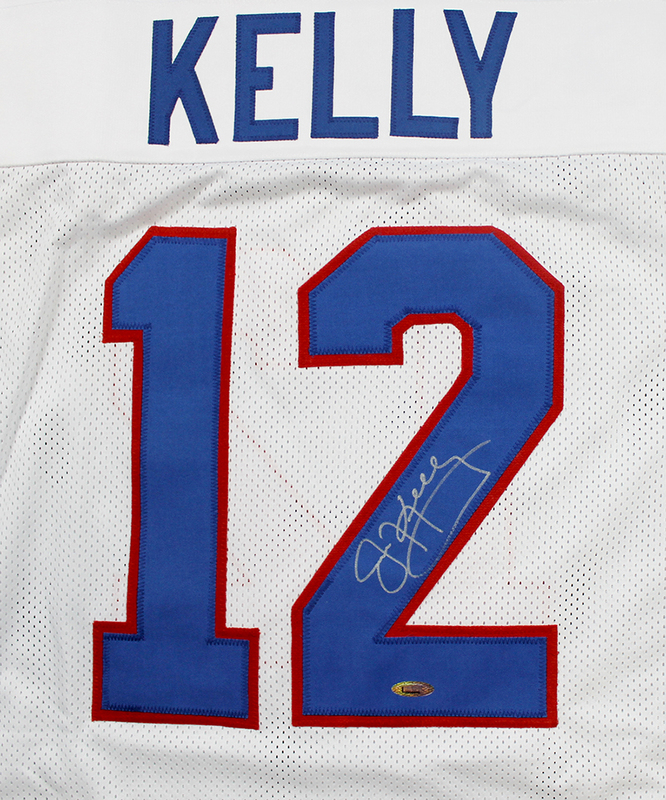 In 2002, his first year of eligibility, Jim Kelly was inducted into the Pro Football Hall of Fame. Note: Custom jerseys are made from high quality material with sewn on name and numbers. They do not contain any brand names, tags or logos.